Know someone who loves Star Wars? Buy them one of these Star Wars gift ideas, and I guarantee they’ll love the gift! 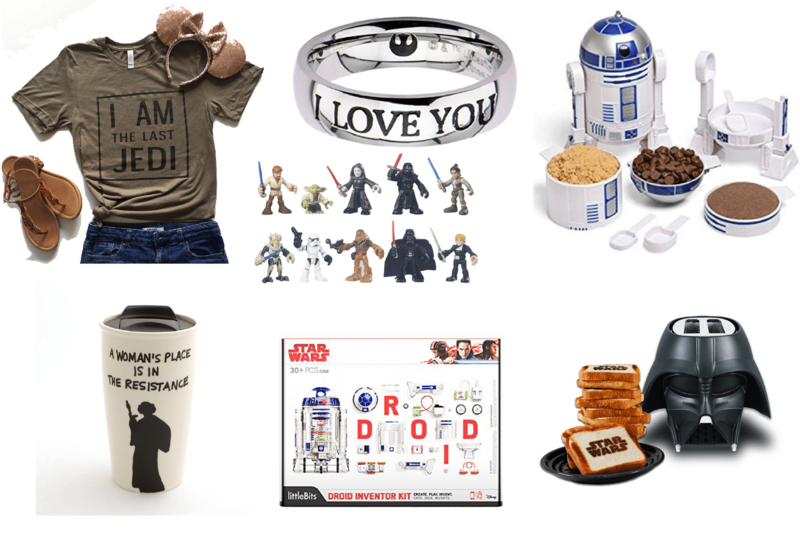 These are seriously some of the best Star Wars gifts ever whether you’re looking for Star Wars gifts for him, for her, or just for kids! With Christmas just over a month away and Star Wars coming out just 10 days before Christmas, I thought it’d be fun to put together a Star Wars inspired holiday shopping list! Pretty sure my son has already asked for about half of these things for Christmas this year. After being Poe Damron for Halloween, he’s a little Star Wars obsessed! 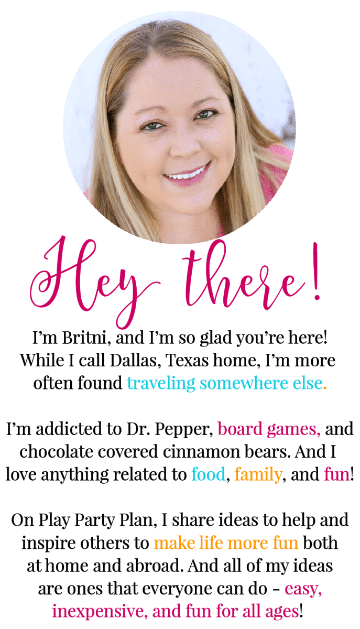 And don’t get me started on my husband – way too many of these made it on his list for 30th birthday gift ideas! These gift ideas are for kids of all different ages and honestly kids will love them whether they’ve seen all of the Star Wars movies or not! We had the chance to meet with the littleBits team during the Thor: Ragnarok event in October, and their new Star Wars Droid Inventor Kit is seriously amazing. You can not only build and customize your own R2D2, you can actually send him on up to 8 different missions, including one where you control him with the The Force! 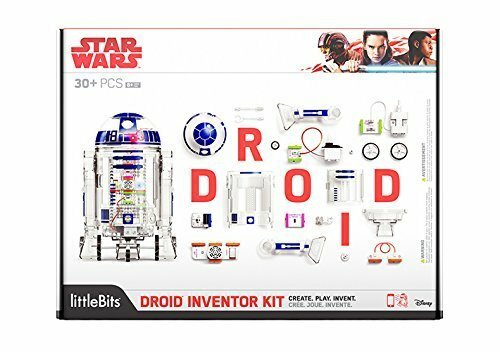 This kit was created through a partnership with Disney and Lucas Films, so it even includes all of the actual R2D2 sounds. Kids AND adults will love it! 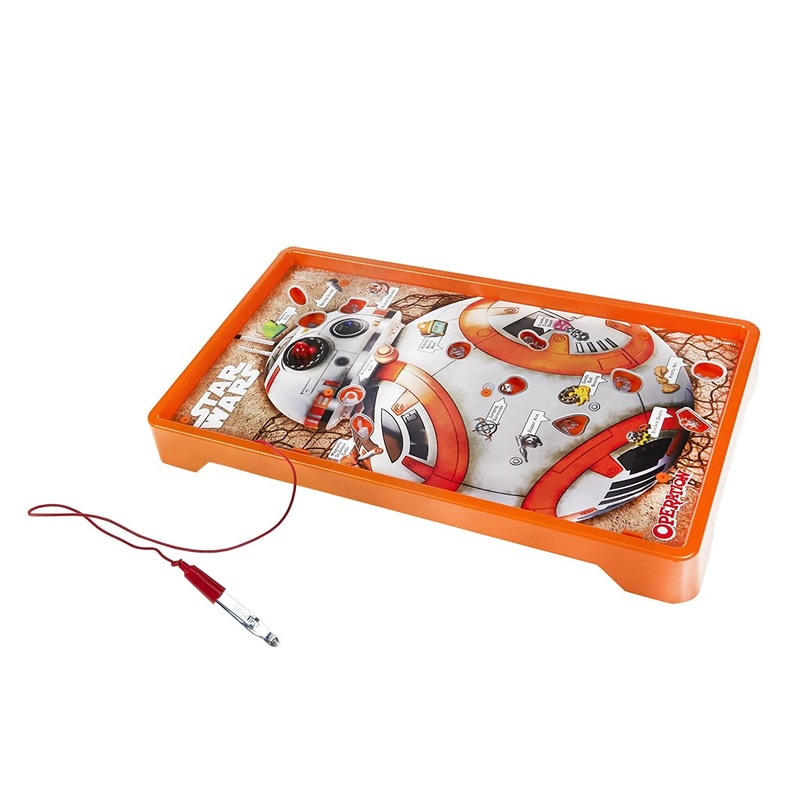 Kids will love this Star Wars themed version of the classic game, Operation. Try your best to get defective droid parts out of BB8 without getting buzzed! Or if Operation isn’t your thing, try one of these other Star Wars games for kids instead! There’s everything from R2D2 Bop It to Star Wars Clue! 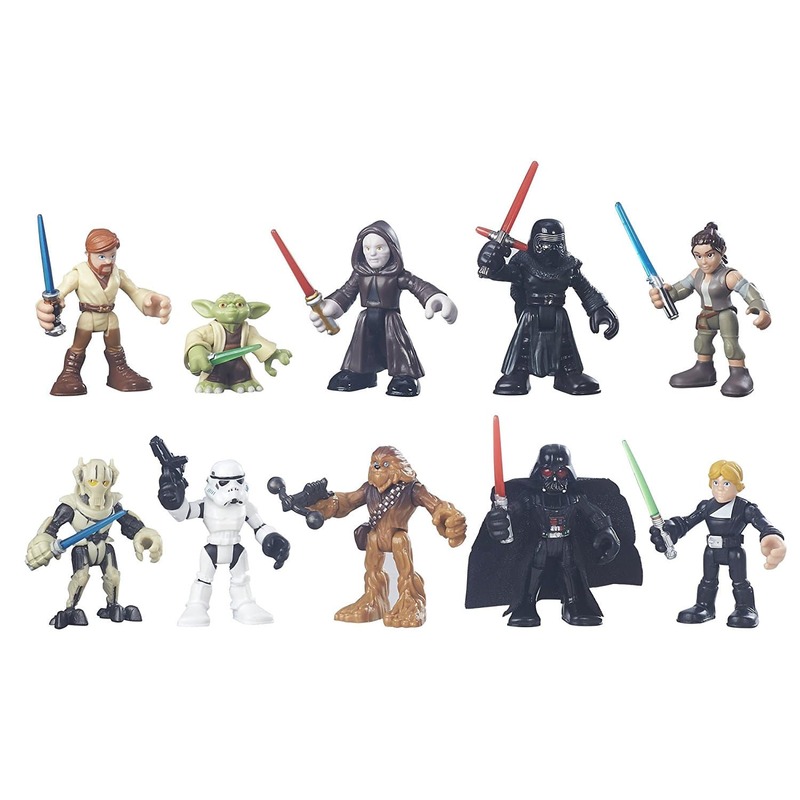 This set of 10 Star Wars heroes comes with 10 different heroes spanning all of the movies from Luke Skywalker to Rey! 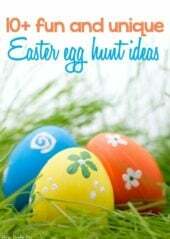 My son has most of these and loves them! Okay, so this one might best for a Thanksgiving gift, but it’s still a fun one! 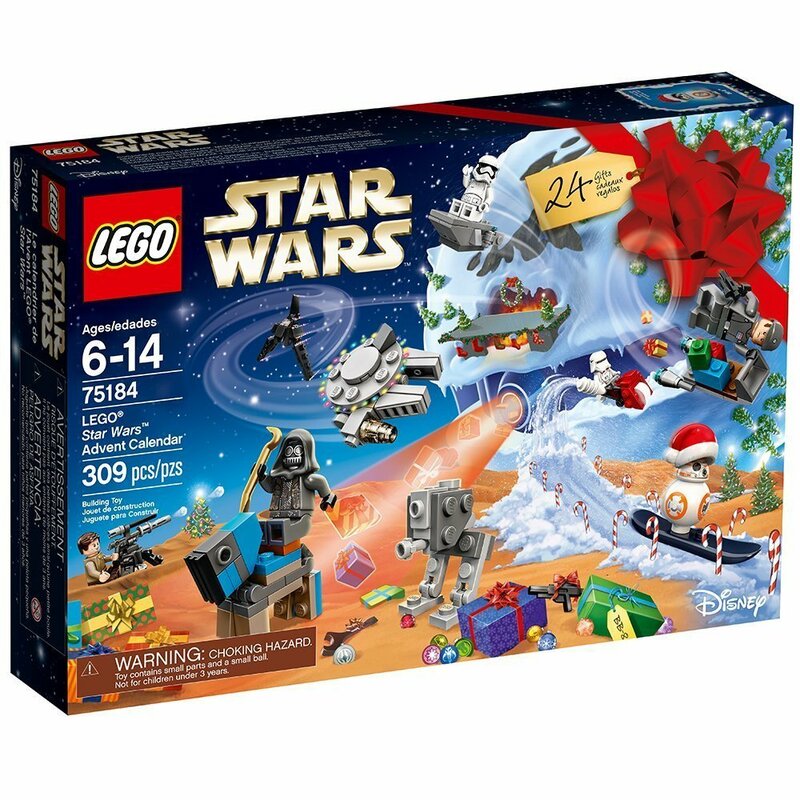 Instead of just handing over a set of LEGOs to build, this advent calendar opens up one piece of the set each day in December, leading up to Christmas. We did one that was similar with my son last year, and he loved the suspense of seeing which pieces came next! Who doesn’t love Chewbacca? 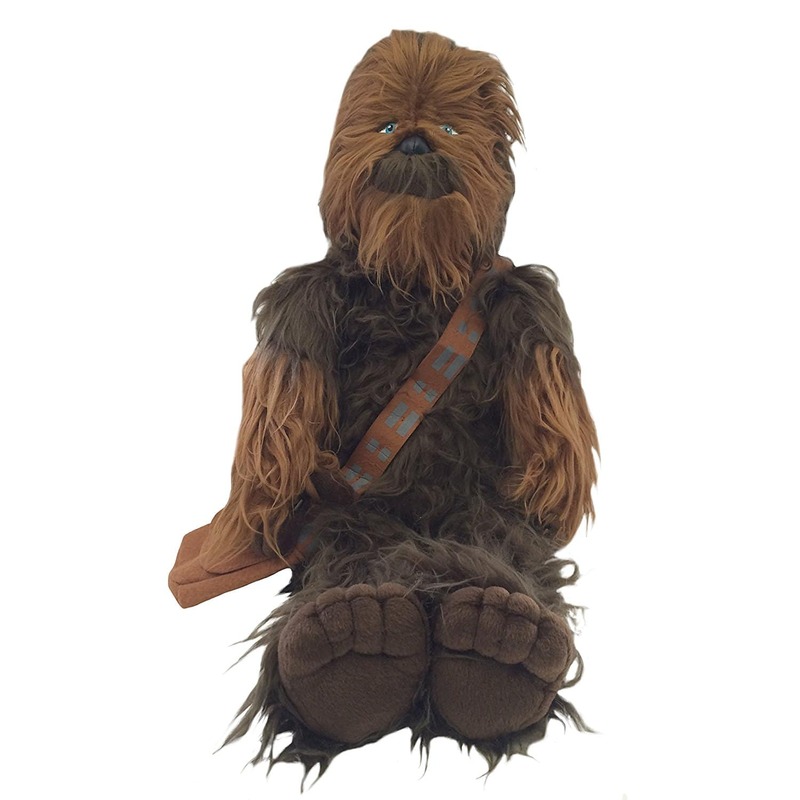 Now kids can sleep with him in this 18′ pillow version of Chewbacca who is soft and cuddly! They also offer BB8, Darth Vader, Kylo Ren, a Storm Trooper, and Yoda but I thought Chewbacca was the cutest! 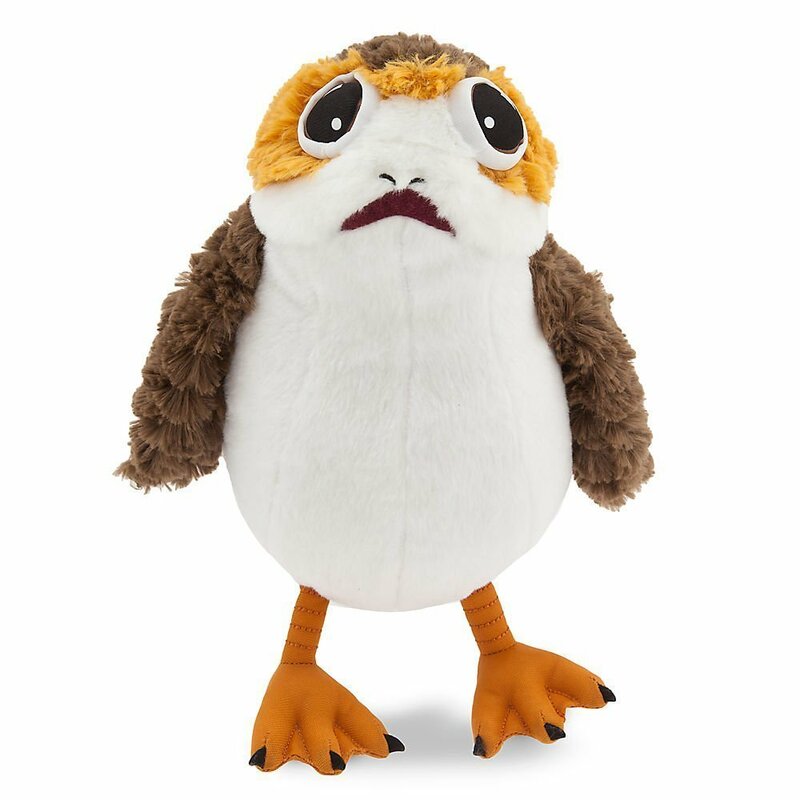 If you’ve watched any of the Last Jedi trailers or teasers, you may have noticed the newest animals to the Star Wars family – porgs. They’re the cutest thing ever and kids will love this plush version! 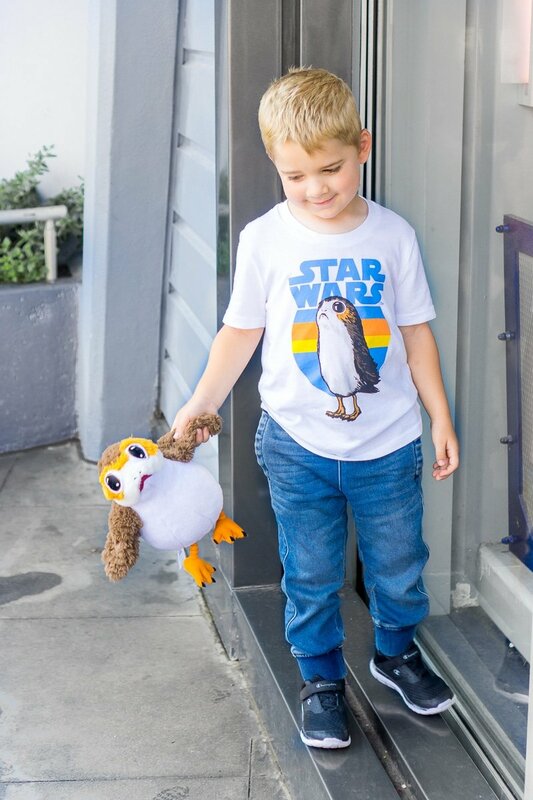 I bought this shirt for my son (because he loves Porgs) and it’s one of his new favorites! It’s soft, lightweight, and perfect for a day at Disney World or just heading back to school! 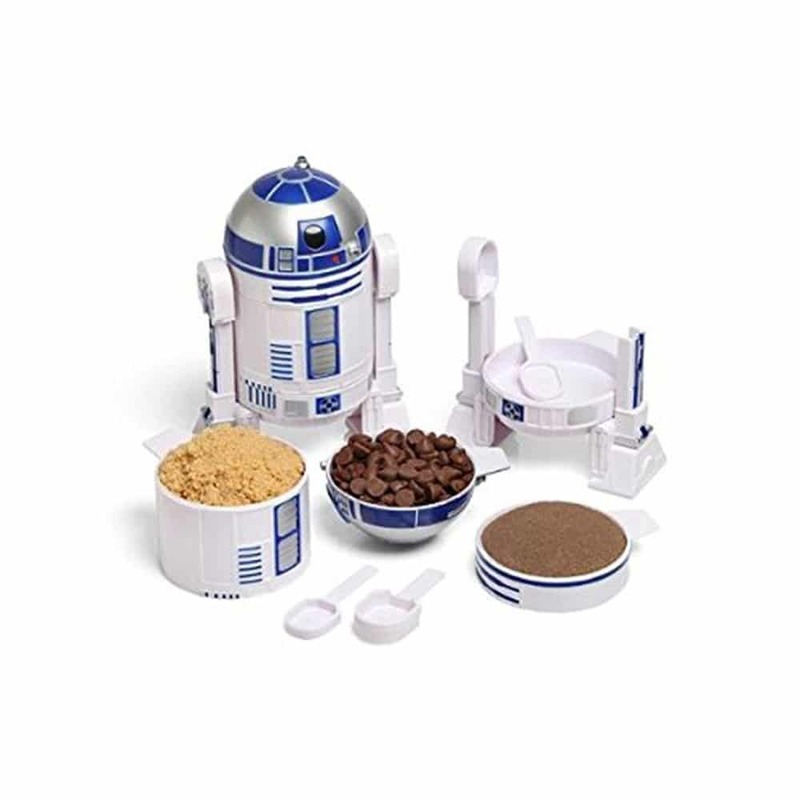 Make baking cookies even more fun with this Star Wars measuring cut set, even better if you’re making Star Wars cookies with these Star Wars cookie cutters! 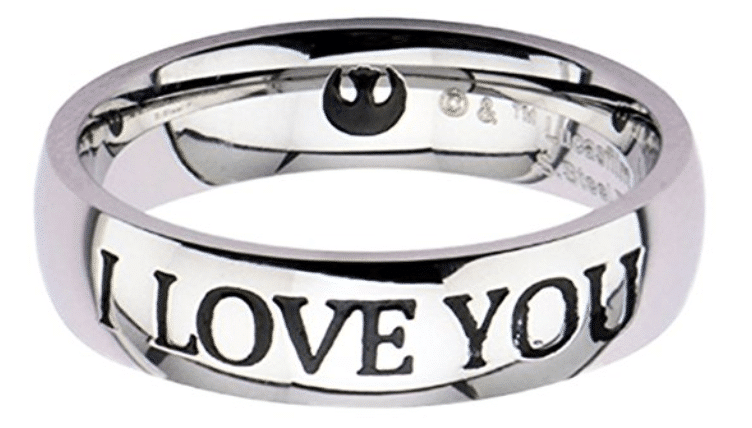 Remember the iconic scene where Princess Leia and Han Solo declare their love for each other – yep, this ring says it all! 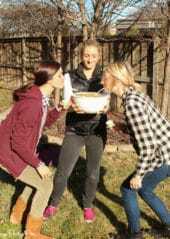 Chocolate is a girls best friend right? 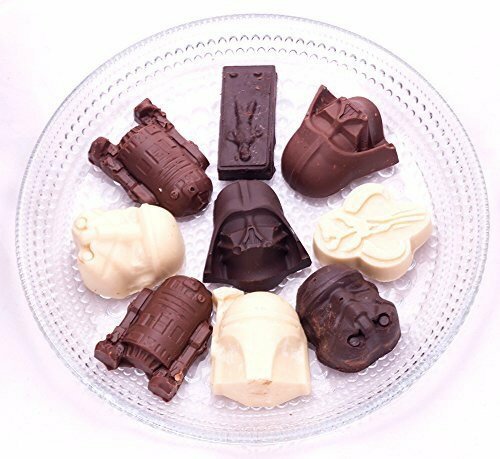 Then these Star Wars chocolates are a Star Wars loving girl’s best friend for sure! You could either make her this Star Wars shirt or just buy this one. 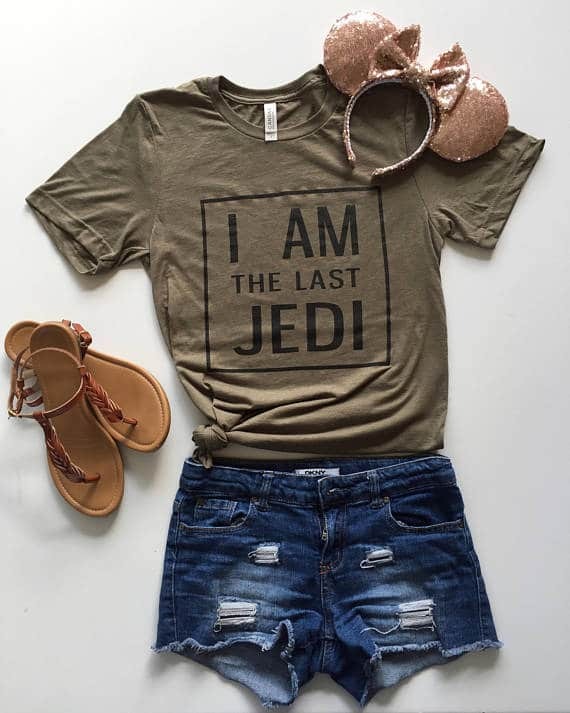 I love the simple print, perfect for The Last Jedi in Dec! 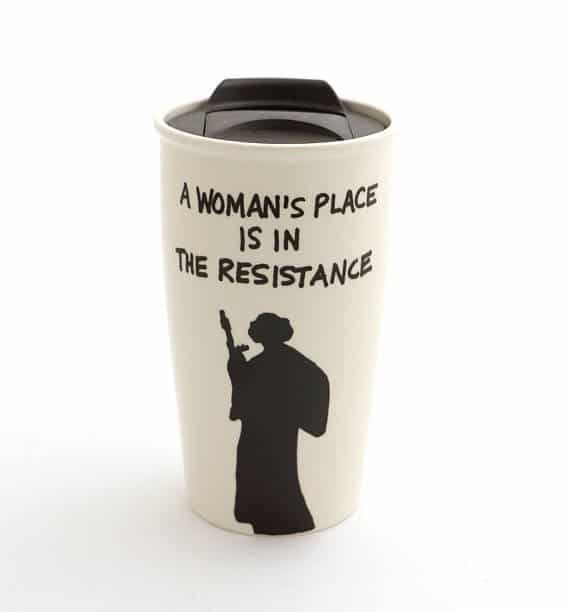 One of the best Princess Leia quotes on a mug! Definitely a keeper. 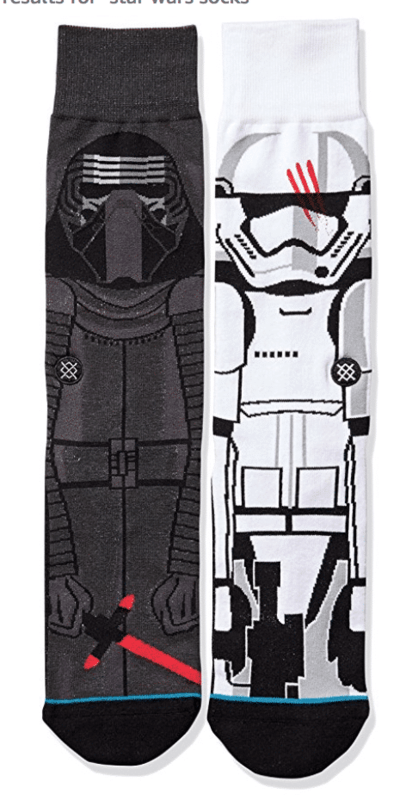 There are about a million designs of Star Wars socks for men out there, but these are classics and some of my favorites. 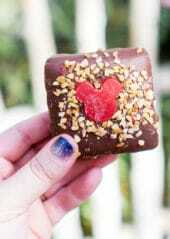 I actually bought these ones for my Disney Cruise Fish Extender gifts last year and may have to do the same this year! 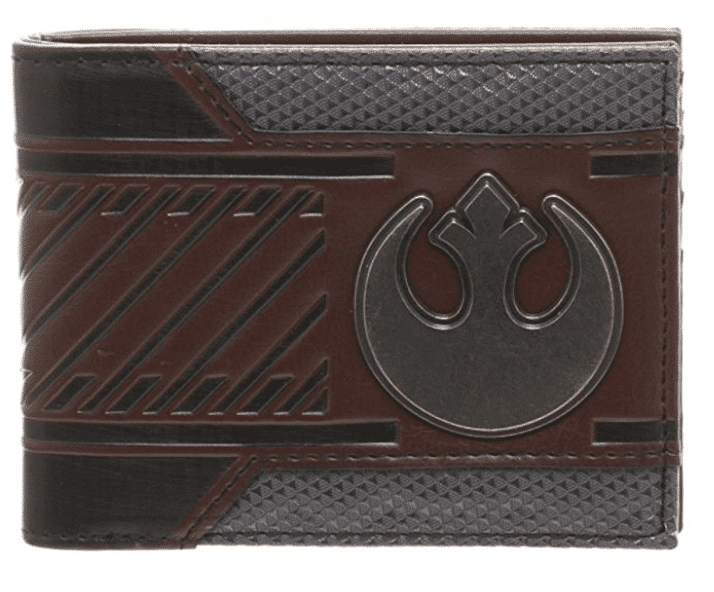 A simple, fashionable, wallet that can show off your Star Wars love without being too over the top! 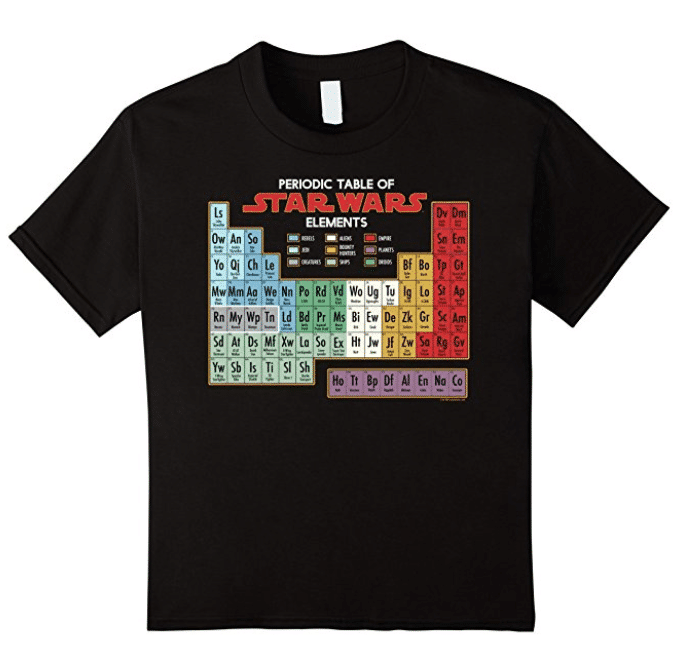 This is a true nerd gift, perfect for any science + Star Wars fans and funny to boot. It actually comes in men, women, and youth sizes, but I thought it was best for him! Have techie friend? 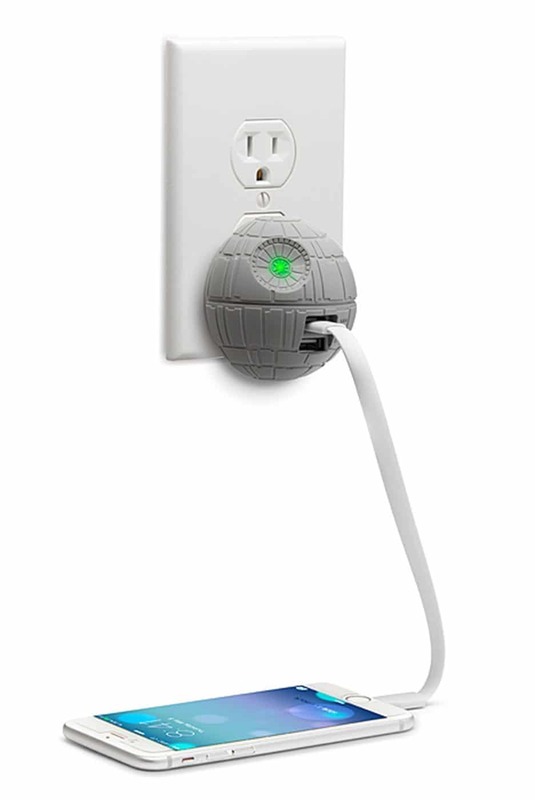 This Death Star wall charger makes the perfect gift or stocking stuffer for any tech person, or really anyone with a phone! 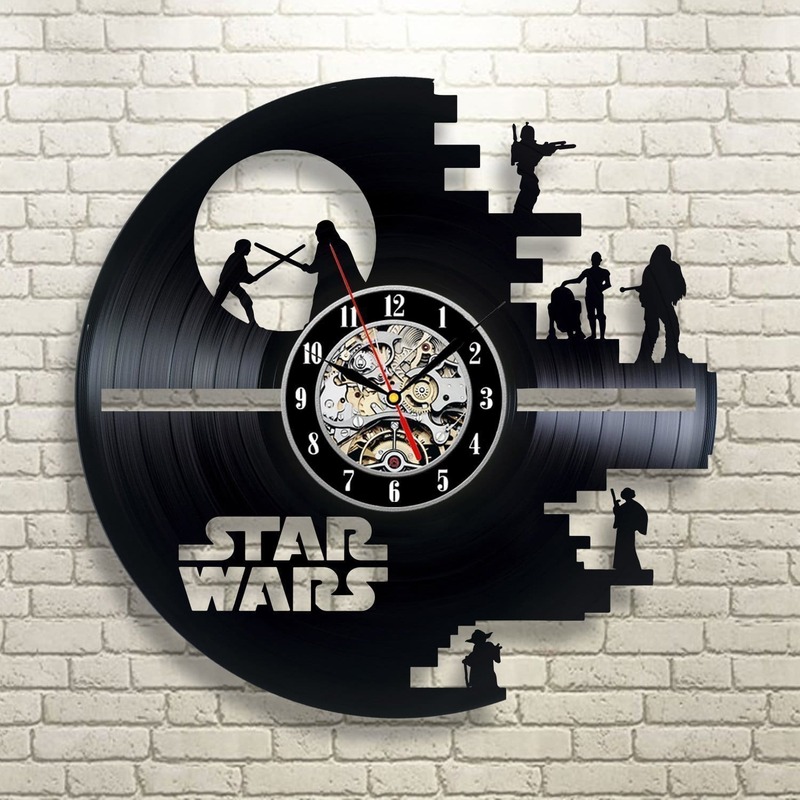 This might be the coolest Star Wars clock ever, especially since it’s made out of an old vinyl. Perfect for the wall in an office of any Star Wars fan! They’re fuzzy, comfy, and perfect for any man who loves Star Wars and isn’t afraid to put a furry character on his feet! 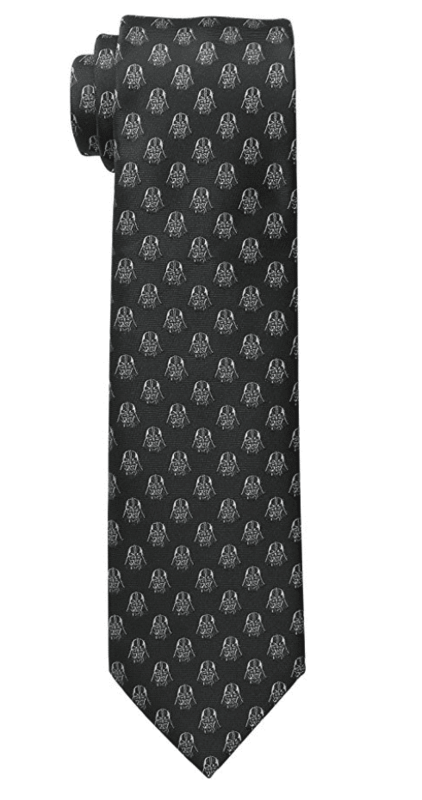 Make getting ready for work a bit more fun with this Darth Vader tie. 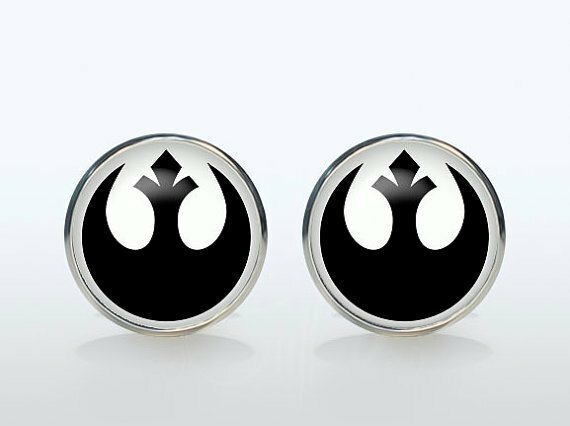 Really any of these Star Wars cuff links would work, these ones are just my favorite. 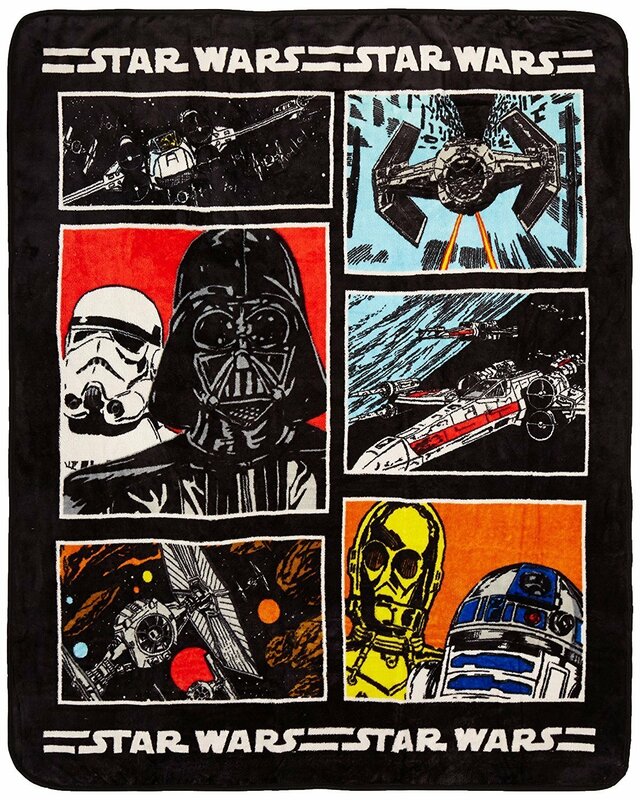 It’s soft, covered in classic Star Wars characters, and just downright epic. I might’ve just ordered myself one! 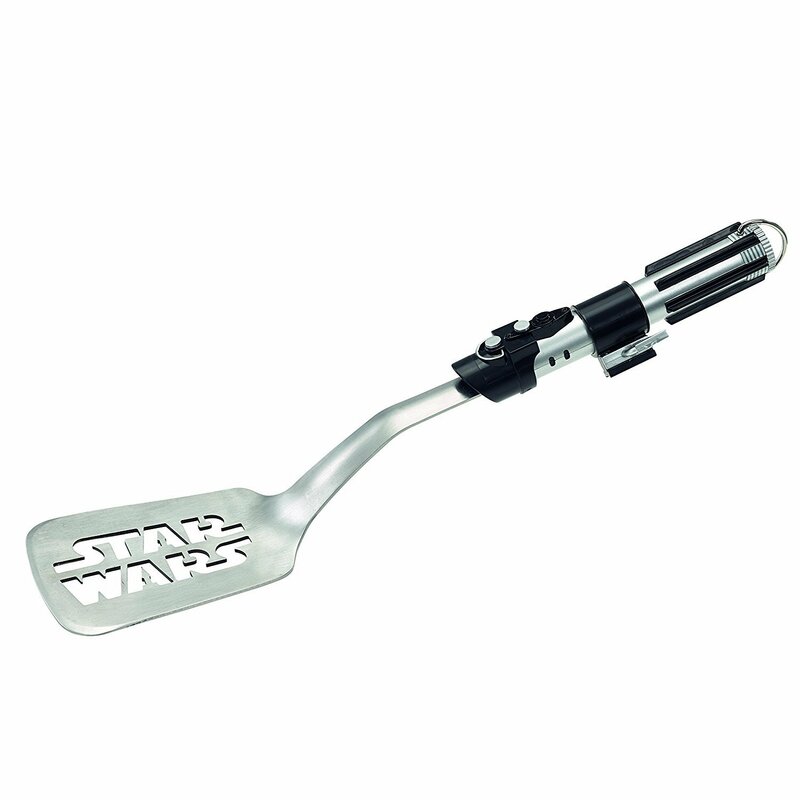 Add some galactic fun to making Sunday morning pancakes with this awesome light saber spatula! 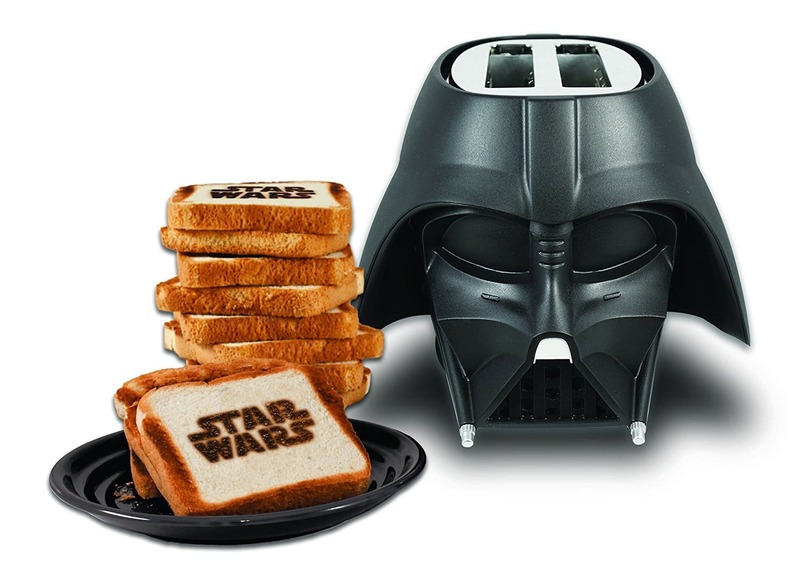 Not only does this toaster look like Darth Vader, it adds the Star Wars logo to your toast. Talk about an epic breakfast! 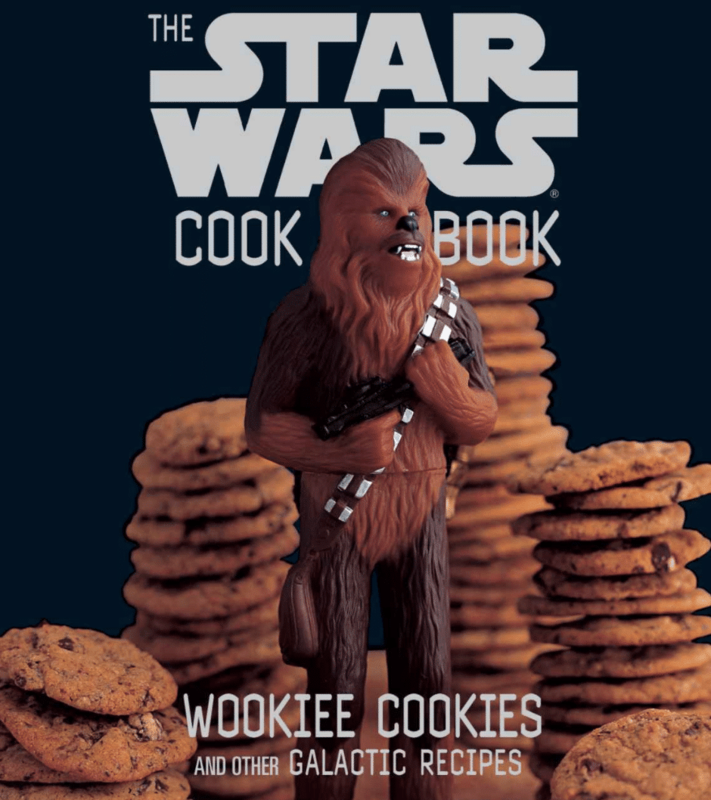 With recipes like Dark Side Salsa and Yoda Soda, there’s something for every one in this Star Wars cookbook, no matter if you’re on Team Rey or Team Kylo Ren. These are just awesome. 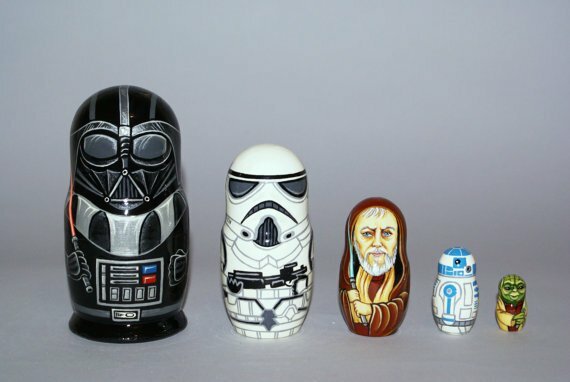 Start with a Darth Vader and find all sorts of little Star Wars characters inside! 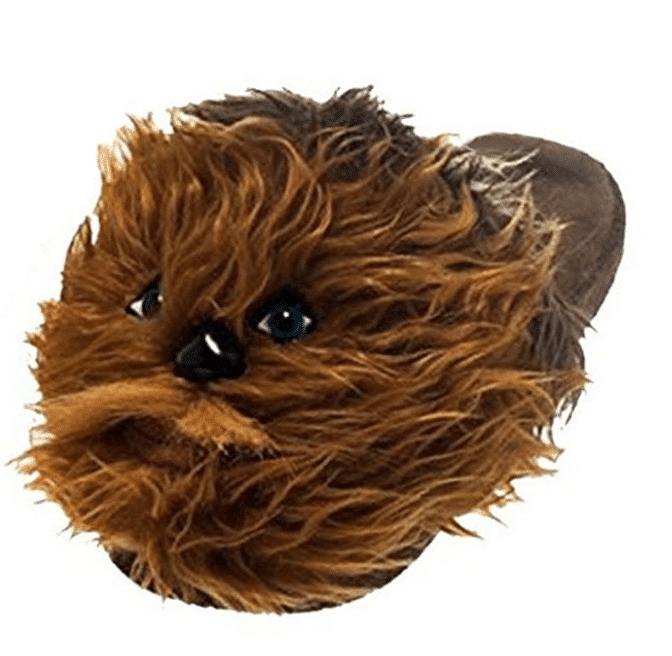 Don’t forget to pin these Star Wars gift ideas for later. 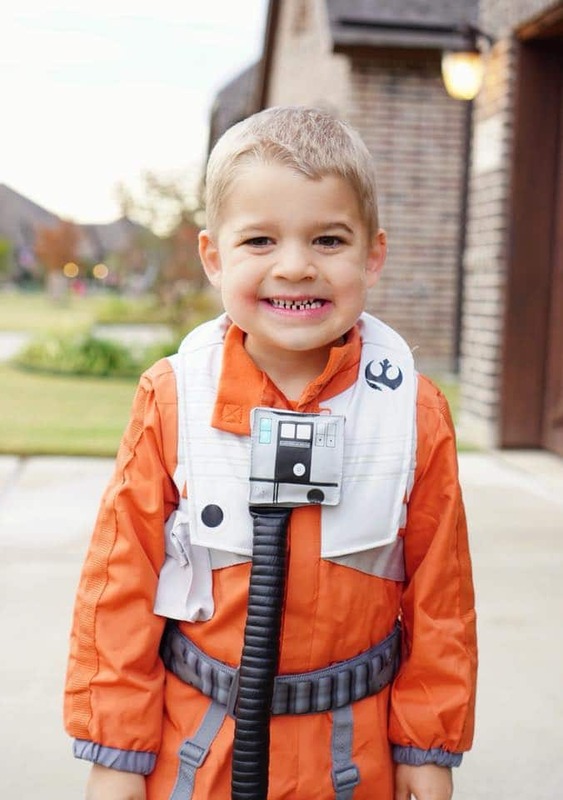 Your son looks great in Poe Dameron’s outfit. 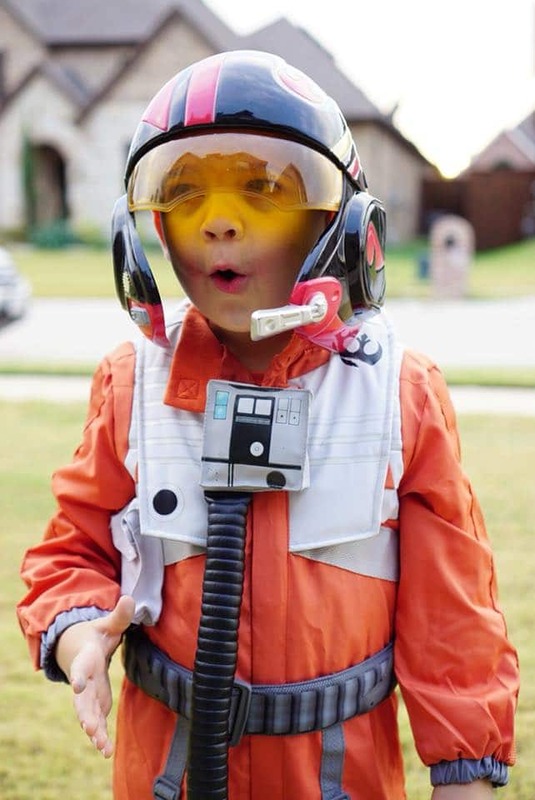 Maybe he will become a great space pilot when he grows up. Nice selection of gifts, by the way.